The first hour of this 2-hour workshop will be conducted inside Greenbelt’s Bald Hill farm house and will improve your ability to identify trees and shrubs in general. In it, you will hone your knowledge of key plant characteristics and learn to use the identification key in Shrubs to Know in Pacific Northwest Forests to identify unknown shrubs. The second hour will consist of a walking tour on the gentle trails around Bald Hill Farm, during which you will apply the skills you learned in the first hour. If you already own a copy of Shrubs to Know in Pacific Northwest Forests (OSU Extension Circular 1640) please bring it. If not, we will have copies for purchase (proceeds going to Greenbelt), and will have several copies to loan. Ed Jensen is an award-winning educator and author who spent nearly 40 years teaching OSU students (and others) about the identification and ecology of the trees and shrubs that comprise Northwest forests. ***This event is currently full. To add your name to the waitlist, please email rebecca@greenbeltlandtrust.org or call the Greenbelt office at (541) 752.9609. Water is life! Explore our local rivers that are the lifeblood of the mid-Willamette Valley’s people and wildlife. Join this special interactive tour of the Luckiamute River near its confluence with the Willamette River and nearby Santiam River in Polk County. This free and family-friendly outing is co-hosted by Greenbelt Land Trust, Luckiamute Watershed Council, and Polk Soil & Water Conservation District. We’ll see first-hand select land and water protection projects underway, habitat restoration efforts in action, and how the power of partnerships helps to conserve this place we all call home. Tour sites include the upstream Jont Creek tributary of the Luckiamute River and downstream’s Luckiamute State Natural Area and the Willamette Bluffs conservation area. Come learn about this dynamic river system in our backyard- it’s rich in cultural history and natural importance! Note: There will be a fair amount of walking on this tour. This tour is a partnership of Luckiamute Watershed Council, Polk Soil & Water Conservation District, and Greenbelt Land Trust. Let’s celebrate World Migratory Bird Day! Join Greenbelt Land Trust, Chintimini Wildlife Center, and Environment for the Americas for a special kid-friendly bird walk at Bald Hill Farm conservation area. We’ll identify birds, tour a wildlife habitat restoration site created by local 3rd-graders, and learn about the Willamette-Laja partnership that links bird conservation between Oregon and Mexico. Hands-on activities for kids include stewarding plants for bird habitat and making a bird-themed craft to take home. There will also be special appearances by LIVE Chintimini bird ambassadors! Se habla español. For more information or to RSVP for this free, family-friendly event, email Rebecca. Space is limited. Additional details and directions will be provided upon registering. This event is brought to you by Greenbelt Land Trust, Chintimini Wildlife Center, Hike it Baby, and Environment for the Americas. Project partners are Marys River Watershed Council and the Institute for Applied Ecology. This event is part of Natural Areas Celebration Week. Natural Areas Celebration Week has something for everyone! 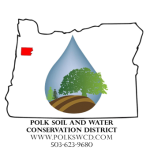 Natural resource partners throughout the region join together during this week to highlight their projects and to celebrate the incredible resources in our backyard here in the mid-Valley. From walks to talks, open houses, local food and drinks, and more, you are sure to have a great time!